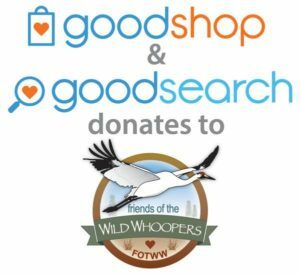 Friends of the Wild Whoopers (FOTWW) is hard at work to help protect and manage the only remaining wild, self-sustaining migratory population of whooping cranes on earth. 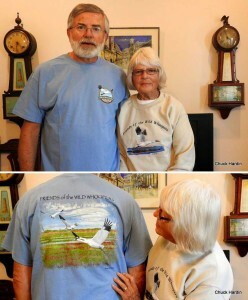 One of our generous Friends donated money for us to obtain shirts for use in fund raising. So we are offering the shirts as a “Thank You” gift to those who make a donation to our cause. For a minimum donation of $29.00, you will receive a beautiful free high-quality T-shirt with our logo on the front and custom artwork on the back. If you also like our free cozy sweatshirt with custom artwork, a minimum donation of $36.00 is requested. A small flat-rate shipping fee of $7.00 will be added to each donation to help cover shipping costs. 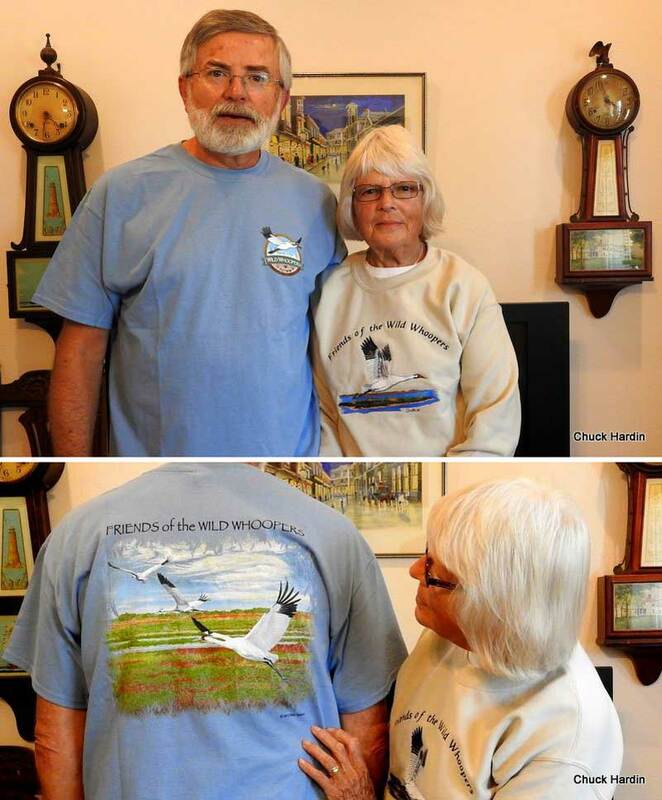 Please make a donation today to Friends of the Wild Whoopers to get your “Thank You” shirt and show how much you care about these magnificent birds. To receive your “Thank You” gift(s), select your size and click on “Add to Cart”. You can choose to donate with PayPal, a bank account, and debit or credit card. Want to donate by check or money order? Please read below. To send your donation by check or money order and to receive your shirt(s), please print out and send your FOTWW Donation/Shirt Form along with your donation to the address on the form. 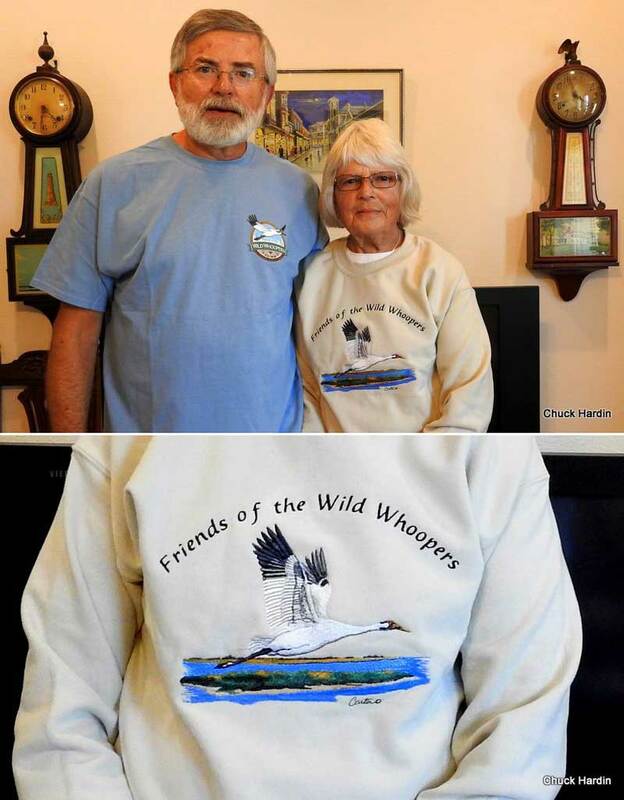 Make check or money order payable to: “Friends of the Wild Whoopers” and mail it to the address on the form.